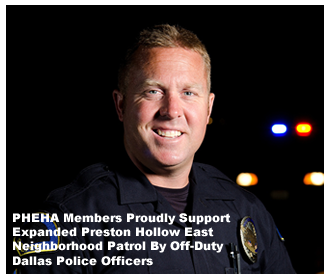 Expanded Neighborhood Patrol (ENP) is a program authorized by the Dallas Police Department (DPD) in which neighborhood organizations, like Preston Hollow East Homeowners Association (PHEHA), hire armed, uniformed off-duty police officers to patrol their area. ENP is the most expensive crime prevention program and requires a great deal of time and effort to operate on a continuing basis. To maintain and grow our outstanding Expanded Neighborhood Patrol program, we must ask all our friends and neighbors to do their part. You see, based on the outcome of this fall fundraising campaign, PHEHA will determine how many hours of Off-Duty DPD Expanded Neighborhood Patrol we can afford to purchase for you next year. Your contributions will directly affect the number Off-Duty DPD Expanded Neighborhood Patrol hours we rely on. PHEHA: Fighting Crime by Funding Expanded Neighborhood Patrols! The Dallas Police Department (DPD) officers who participate in our neighborhood’s ENP are a small group of dedicated officers. 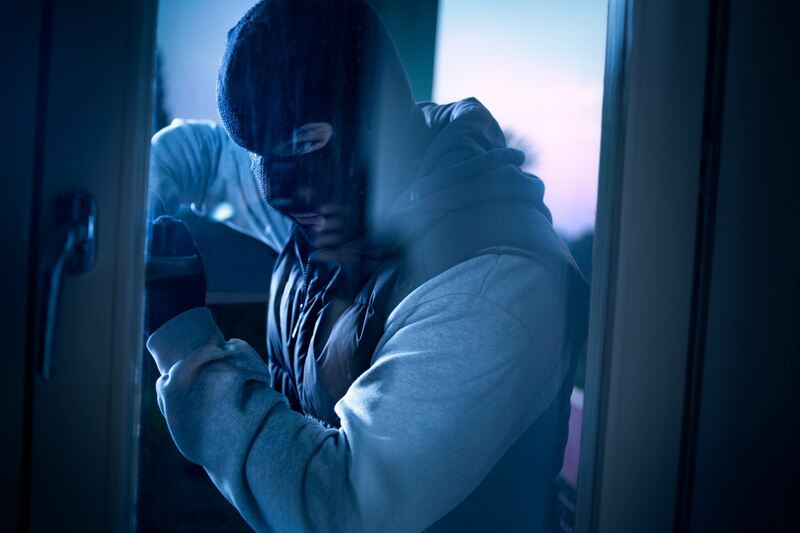 They are experts in our neighborhood and our area’s crime trends. During the ENP hours, a uniformed Dallas Police Department officer patrols our neighborhood in a marked Dallas Police Department car. The officer will immediately respond to any 9-1-1 calls and home burglary alarms originating in Preston Hollow East, and will not leave our neighborhood to respond to other calls. The objective is to maximize patrol hours, increase police presence and decrease crime in our neighborhood. Valuable vacation protection - going out of town? Let our ENP know!